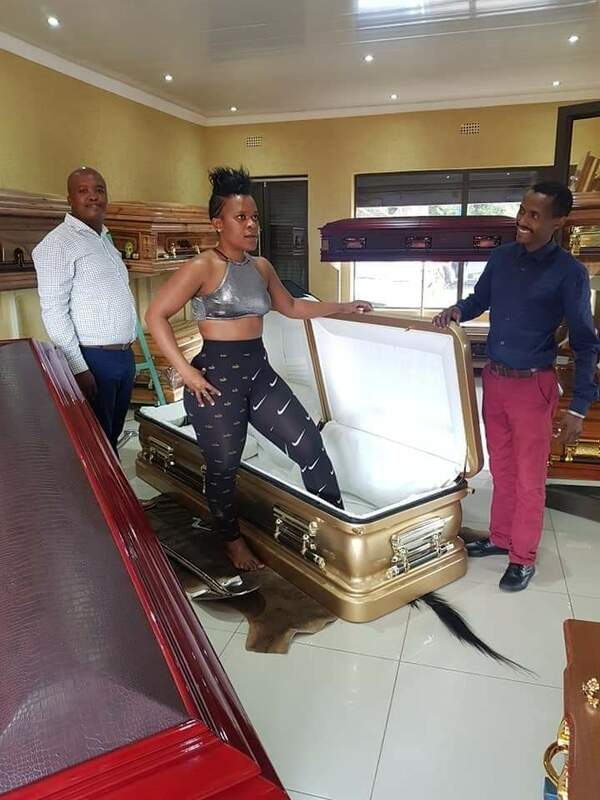 Sultry SA dancer Zodwa Wabantu raised eyebrows after revealing images of herself getting into a coffin. 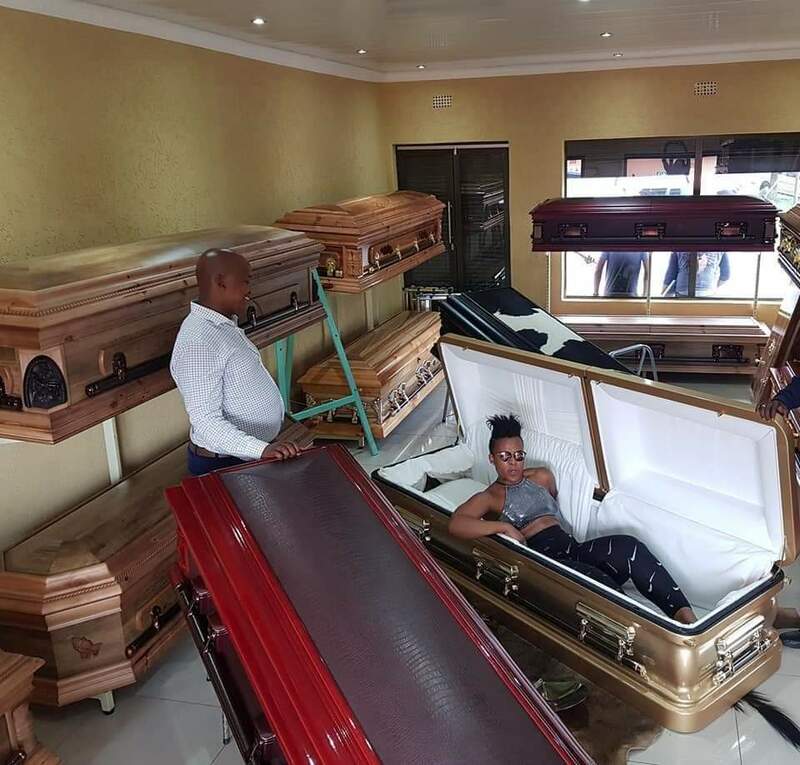 Her own coffin. 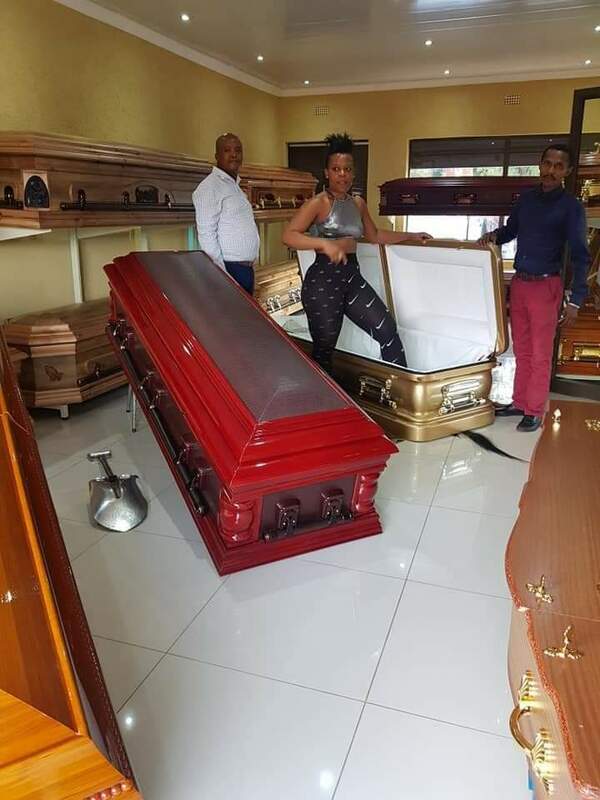 Zodwa said she did not want people to say that she couldn’t afford her own coffin after she died and so she bought one for herself.